When the term under truss is used, this just means that the rafters (or trusses) of the roof are tied down to the roof tie-beam at the edge of the outer structure. This is often done with hurricane straps to keep the roof in place. One item most home buyers will look for is a good section of "under truss" - that's the portion of the pool deck where you can sit outside protected from the rain and the sun. It’s the shady part of the area. 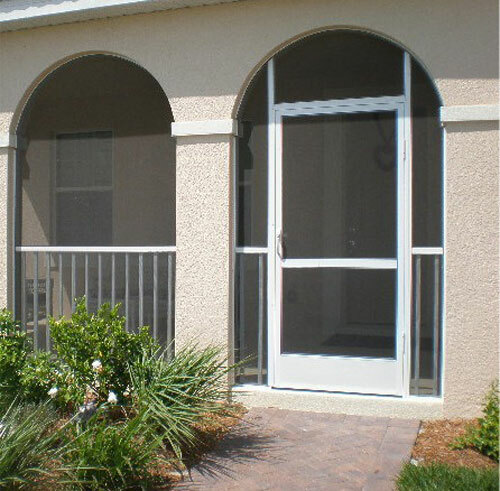 In Florida a lanai can be a simple screened-in patio or a multiple-story cage which encloses a swimming pool or spa. Special landscaping often accompanies the lanai. A lanai can create a spectacular outdoor living area. You can transform an ordinary outdoor space into an open-air living room that adds value and comfort to your home. Premier can help you – just call us and we’ll go over your options!